Aries is a FIRE sign ruled by the planet Mars. Plants associated with this element and planet very often have thorns or prickles. They can be also spicy or bitter in flavor, or red in color. Because Aries rules the head, eyes, and face, the plants for Aries purify the blood, stimulate the adrenal glands, and/or are high in iron (Mars rules the mineral iron). 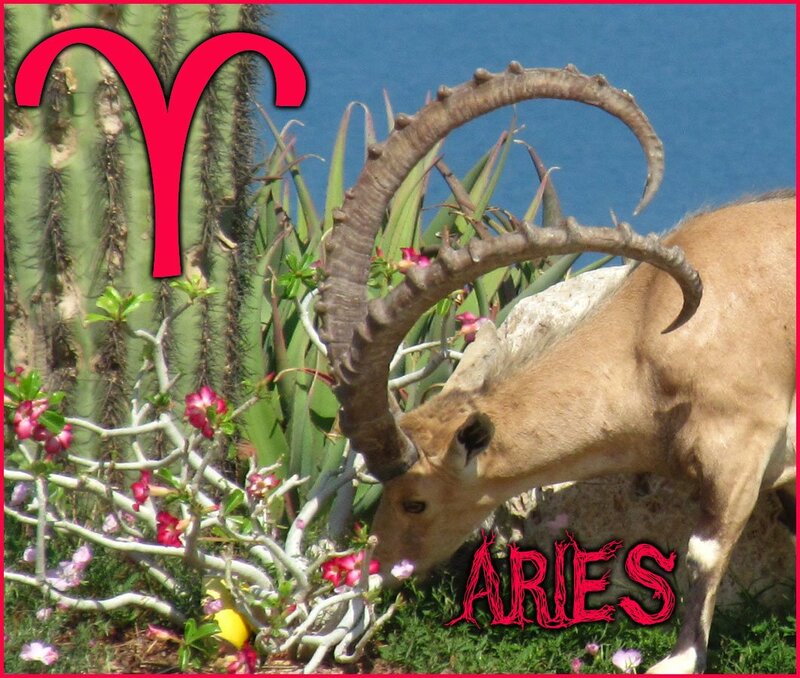 Mars-ruled Aries is assertive, energetic and fearless. Mars rules the red blood cells, the muscles, and metabolic processes, as well as the motor nerves and the head. These plants help you when you want more get-up-and-go and the courage to take on the world. Governors plum, Hibiscus Karkade, Tapioca, Mamey Sapote, Ruda, Baobab, Euphorbia, Acanthus, Aloe, Caesalpinia, Erythrina, Opuntia, Dragon Fruit, Pachypodium, Pomegranate,Chilli peppers, Syngonium, Begonia, Geranium, Red Sandalwood, Jamiaca pepper (Pimenta, Allspice), Camphor, Jujube, Anise, Red Roses, Tiger Lily, Impatiens, Calendula, Tarragon, Ginger, Coriander, Basil,Ruda, Amaryllis, Wild Indigo, Gooseberries, Sesbania, Campsis, Red Oleander, Maple, Schotia brachypetala, Momordica, Coffee, Amla , Ephedra, Red Kapok. For links to these plants and other signs information, see full Plant Horoscope.